During the workshop good practices exemplified in the POCACITO case study cities as well as more theoretical approaches to assess post-carbon cities were shared with Brazilian municipalities. Over 50 stakeholders took part in the workshop organized by INTELI, Mind Brasil and Federal Institute of Sergipe. INTELI’s presentation was centered on the integrated assessment of case study cities, based on the environmental, economic and social key performance indicators defined within POCACITO. Moreover, some smart and sustainable strategies and plans were discussed, with a specific focus on Lisbon, Barcelona and Copenhagen. The good practices available on the online “marketplace of ideas” were presented, and the audience suggested some innovative projects that are being developed in Brazil to include in the database. 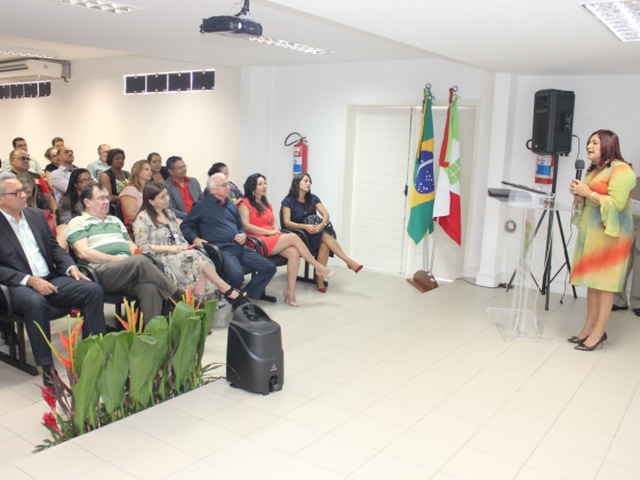 The Dean of the Federal Institute of Sergipe presented the institution and some of the projects that are being carried out in the region, namely the “sustainable university campus”. The objective is to transform the campus in a development and experimentation space of new low-carbon technologies and solutions. The workshop was very successful, and future collaboration opportunities in the area of post-carbon cities were explored.